Three weeks ago, I was delighted to announce that Golfnow.com, our partner in the discount tee time business, had upgraded MyPhillyGolf.com to from an "area specific," or local, booking engine to a "national" booking engine. In other words, if you take golf trips or vacations, you can use the Golfnow.com portal on MyPhillyGolf to book discounted tee times in places like Scottsdale, Pinehurst and plenty of other golf destinations. Unfortunately, what was missing at the time was any participation by courses in one of the most popular golf destinations on the East Coast: Myrtle Beach. That changed today, when we got word that many Myrtle Beach courses have now signed on with Golfnow.com. More courses, more choices. While the members of LuLu Country Club voted to give their board the go-ahead to finalize the sale of the club to Hansen Properties, Inc. last Thursday, the deal is not yet done. In fact, as a couple of readers have pointed out in emails, Upper Dublin Township has the "right of first refusal." What that means, in layman’s terms, is that Upper Dublin Township has the right to match the offer to LuLu CC. That is true, confirmed to me by LuLu CC president Paul Muller and Upper Dublin Township manager Paul Leonard. What I can’t figure out is what motivation the township might have to nix the deal and buy LuLu. Although the LuLu clubhouse and golf course, a classic Donald Ross design, sit on a 115 acres of desirable and bucolic property, the chance of it being turned over to developers is zero. It was the desire to keep the property as undeveloped "open space" that prompted Upper Dublin Township to pay LuLu $2.25 million in 2009 for the future development rights. The Open Space Plan identified 51 open space parcels as vulnerable to development and prioritized protections for each, placing them in one of four categories (in declining order of importance) "conservation/protection easements," "action," "interest" and "watch" depending on their significance in meeting the open space needs and objectives. While this is a somewhat fluid list, care should be taken to focus on primary conservation and recreation needs when purchasing properties or easements. The Township should continue to pursue purchase of land, and when possible conservation easements, for properties identified on the priority lists. Where appropriate, it should seek to partner with other government entities and conservation groups to leverage bond funds in such purchases. The locations of parcels included in the Open Space Plan priority lists are shown in figure 4.4. 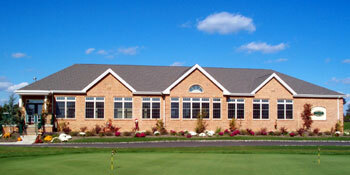 In September 2009, the Township acquired the development rights for the 115-acre Lulu Country Club for $2.25 million. 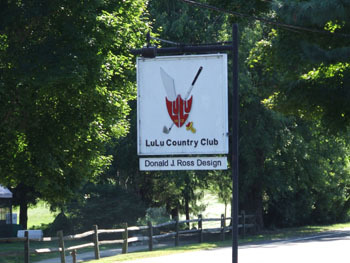 The agreement between Upper Dublin and Lulu permits the club to continue to operate as a private golf course and prohibits future development, including subdivision. by selling only the development rights – not the property, Lulu is able to continue using it, while enabling the Township to protect 115 acres at a considerably lower cost than outright purchase of the land. With development "off the table," as township manager Leonard told me, I can’t think of any other motivation Upper Dublin Township might have to exercise its right of first refusal. Unless, of course, Upper Dublin Township fancies taking over LuLu CC for the purpose of running it as a municipal course. Bottom line: I’m not saying the LuLu CC sale to Hansen Properties is a sure thing. But if it falls through, I’d very surprised if it is because of anything Upper Dublin Township does. I am not sure why UDT would want to hinder a sale to Hansen Properties. It only stands to protect their "investment" in preserving the open space easement that they sold. UDT didn’t "bail" anybody out. The dollars spent from the Open Space Fund were used for their intended purpose, to preserve the open space. It seems to me that if the members of LuLu are looking for ways to help the Township keep a beautiful piece of land beautiful, it sounds like a no brainer, and I thank them for trying to keep Upper Dublin attractive. I say let Hansen help too. UD Taxpayers’ premise is false. For $2MM, the township received something very valuable, not "nothing" as purported. That "something" is 115 acres of open space in perpetuity. Had LuLu members sold the club for development, they would have received many times this consideration, but they preferred to preserve it forever for their golfing enjoyment rather than make a large profit & golf elsewhere. I agree with UD Tax Payer, except I think the township should take over LuLu and run it as a municipal course. The reason UD Taxpayers would want to exercise the option to claim the property is because they already paid $2.25 million dollars to bailout a country club and have nothing to show for it. The taxpayers should demand the township take it over and open it up as a public park. At least they’d then have something to show for their hard earned money. The school is school property, not for general public use. There is no place for the residents (who have complained about not having usable open space within walking distance), which include me, to enjoy public open space without driving to it. Are you aware that, unlike most places in UD, there is no public open space near the homes near Lulu to which families can walk? Another open space recommendation is to make sure there is public open space within 1/4 mile of all homes in UD. I am not saying the Board will purchase Lulu. This comment is just in response to your statement, "What I can’t figure out is what motivation the township might have to nix the deal and buy LuLu." 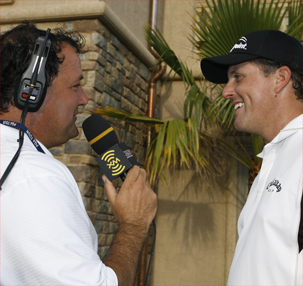 Is PGA Radio Network a goner? If you’re a fan of the PGA Radio Network on XM/Sirius (Channel 146 on XM, 209 on Sirius), the news is not good. In his weekly Up & Down column at CBSSports.com, Steve Elling reports that the network will likely be a goner in 2011. A source tells Elling that the PGA Tour has been getting $4 million a year for the radio rights, and that "the folks running XM/Sirius aren’t much interested in continuing beyond this year." Besides the rights fees, XM/Sirius is also on the hook for the salaries of their hosts and the folks do the live broadcasts from tournaments each week, not to mention the expense of keeping them on the road. Alas, if Elling is correct, we too will miss the morning chat shows on the network, especially Making the Turn with Peter Kessler, where I am a semi-regular guest. Let’s hope both sides find wiggle room. The best I can do for an update on the reported closing of Island Green CC is that I am still waiting for a an official conformation, denial or explanation from one of the owners. One of the owners did call while I was out, but he offered no details and didn’t leave a contact number. So far, I still haven’t reached him, despite two more requests via Island Green general manager Scott Burek. Island Green, which opened in 2001 on site of the old Budd Co. railcar plant, was reported to be closing in a recent item in the business section of the Inquirer. The newspaper said golf course would close to make way for a new distribution facility for Teva Pharmaceuticals USA. Inquirer course review. Soon after the item appeared, Burek told MyPhillyGolf that the closure was news to him and said he was still booking outings for next year. Burek said the owners – contractor John Parsons and four other contractors – had assured him Island Green had not been sold. Still, others in the local golf community also report having heard rumors in recent months that the course was going to be sold, although those rumors remain sketchy and unconfirmed. When I called Burek again a day ago, he reiterated what he said he is being told by the owners: "We are not sold." Burek said that he has been at Island Green for three years, since Nov. 2007, and that each year he has heard rumors that the course has been sold or is going to be sold. So far, he pointed out, none have turned out to be true. As for this time around, Burek is once again shrugging off the rumors as he continues to book outings for next year. "There are no conversations (about selling or closing) that I am aware of," said Burek. "But they (owners) don’t need to involve me in that stuff, anyway. I don’t know what is going on or even if it is for sale. All I know is what they tell me, which is that we are not sold." Details if and when I get them. Say it isn’t so! Let’s hope it remains just that...rumor! I hope the rumors are untrue. Island Green is a nice course that is close by. Being in the city it seems that you have to drive forever to find good courses to play. Not to mention they have a nice clubhouse with an outstanding kitchen and bar. If it does close at least some well paying jobs would be created. For anyone who clicks on the Golfnow.com icon on the home page in search of discounted tee times, you might have noticed a change recently. As of Nov. 1, MyPhillyGolf went from being an "area specific" search engine for discounted tee times – i.e. discounts at participating Philadelphia-area courses -- to a "national" booking engine. If you take golf trips or simply take your clubs along when you travel, now you can book discounted tees through MyPhillyGolf and Golfnow.com in such golf destinations as Myrtle Beach, S.C., Pinehurst, N.C., Scottsdale, Ariz., Orlando, Fla., and Palm Springs, Calif.
MyPhillyGolf linked up with Golfnow.,com, which is owned by the Golf Channel, a year ago, just as it was branching out into the Philadelphia market. The list of participating courses it offers in the region has gradually begun to expand. Now, as we go "national," the destinations and choices have become mind-boggling. 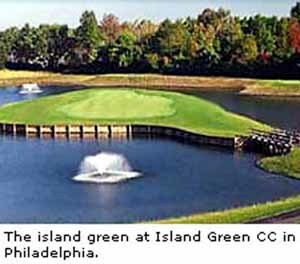 I’m getting a ton of emails about Island Green CC, or more specifically, the item in the Inquirer last Friday that reported that the course is closing. A week ago, a story in the business section of the Inquirer said that Teva Pharmaceuticals USA plans to build a new distribution facility in the Bustleton neighborhood, potentially employing 500 people. The bad news for golfers is that the item said the new distribution center will go on the 136 acre site once occupied by the Budd Co. railcar division, which since 2001 has been the site of a popular daily fee course, Island Green CC. Inquirer review. Bausch Collection photo gallery. When I called Island Green CC general manager Scott Burek to get details about the closure, he told me that it was news to him. He said he hadn’t talked to anybody from the Inquirer, nor had he heard anything from his bosses -- i.e. the owners -- that any sale was a done deal or that that the course was closing. In fact, Burek said, he was still booking outings for next season. When I pressed Burek for details or some kind of explanation of what is going on, he said he would have one of the owners get back to me. That was three days ago. Since then, Burek and I have been trading emails and phone messages about who will talk to me and when. Truth is, I don’t know what is going on. I don’t know if the Inquirer story is premature or flat out wrong. Clearly, some kind of discussions or negotiations are going on behind the scenes. I do know that in Burek’s last email to me this afternoon, he said their position is that Island Green has not been sold. Burek swears that the Island Green owners will fill me in as soon as possible. When I find out, I will pass it along. 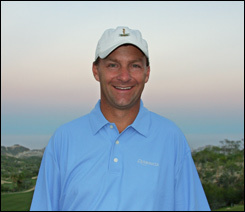 Golf Digest is out with it’s 2010 list of Best New Courses and it’s another feather in the cap of Malvern-based architect Gil Hanse. Castle Stuart Golf Links in Scotland, co-designed by managing partner Mark Parsinen and Hanse, was selected by the magazine as "Overseas Destination of the Year." These awards are starting to be routine stuff for Hanse, who last year was named Architect of the Year by Golf Magazine, at the same time the magazine named Castle Stuart Best New International Course. Closer to home, Hanse either designed or had a major hand in several local courses: Inniscrone GC, French Creek GC, Applebrook GC and Stonewall. He has enjoyed even bigger success away from home, with Rustic Canyon GC in California, Craighead Links in Scotland, Boston TPC (home of the Deutsche Bank Championship) and Boston Golf Club. Here is his complete portfolio. Working with right hand man Jim Wagner, Hanse seems to get better with each new project. Meanwhile, on the business side, Hanse has kept his firm small; at a time when most big-name architects are laying off staff or shuttering their business altogether, Hanse is busy. Along with Tom Doak and the design team of Ben Crenshaw and Bill Coore, Hanse is the object of respect bordering on hero worship on the website GolfClubAtlas.com, frequented by architecture enthusiasts. GCA Hanse interview. The reason is that Hanse is seen as not only enormously talented but as a purist and minimalist when it comes to design. Indeed, he is all three. He also happens to be one of the nicest guys in golf. Hanse seems to raise the bar with each new course. Three weeks ago, I and several other course raters for Golfweek were invited to play Boston Golf Club, a Hanse and Wagner project that opened in 2005. I expected it to be good; it is after all ranked 36th on Golfweek’s list of Best Modern Courses. But I had no idea. I was blown away. I’d put Boston Golf Club in my list of Top 10 courses I’ve ever played. "This is what Gil can do when he gets a good piece of land," said another rater. True, and with each new success, Hanse is going to get better and better property and projects.